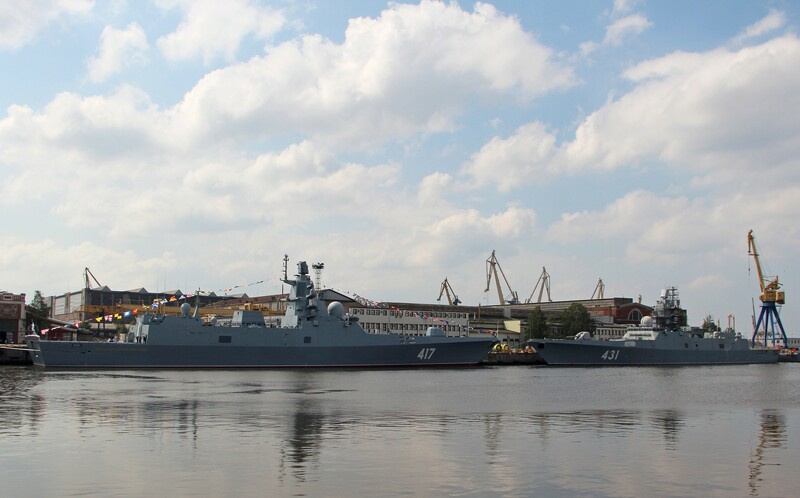 The first frigate of project 22350 "Admiral of the Fleet of the Soviet Union Gorshkov," built since 2006, is included in the combat composition of the Russian Navy. As the TASS correspondent reports from the place of the event, the St. Andrew's flag was raised on the ship. Now on PJSC Shipbuilding Plant Severnaya Verf under the contract of PJSC United Shipbuilding Corporation (USC) with the Ministry of Defence of the Russian Federation of March 25, 2010 for construction of three production ships of the project 22350 (serial numbers 922, 923 and 924) construction of frigates "Admiral of the Fleet Kasatonov" (serial number 922, is put on Severnaya Verf on November 26, 2009, is floated on December 12, 2014), "Admiral Golovko" (serial number 923, is put on February 1, 2012) and "the Admiral of the fleet of the Soviet Union Isakov" is conducted (serial number 924, is put on November 14, 2013). Further construction is supposed to be conducted on the modified project 22350M. 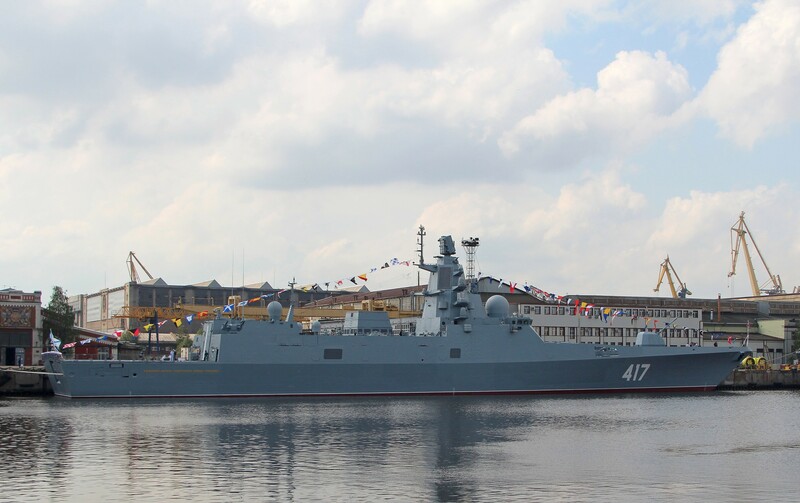 At a ceremony of raising of the Naval flag by the "Admiral of the Fleet of the Soviet Union of Pots" frigate the Deputy Commander-in-chief of the Navy of Russia vice admiral Victor Bursuk has said that "a series of the ships absolutely similar to the Admiral Gorshkov frigate will make four units. Further we plan the much bigger number of the modernized ships. The developer - Severnoye Design Bureau - gets to this work this year. We plan to receive the first modernized ship in 2026". Correct I said this over a month ago. SeigSoloyvov wrote: Correct I said this over a month ago. Do you know what new features will be implemented? Yes but that's not something I can say, some information I do share other information I cannot because of how it's gotten. I don't know exactly how the new features work just what they are "supposed to do". I don't know exact numbers just descriptions that are well hush hush to normal folk. Ok, we don't want you sent to prison! Edit: I see you talked about the two additional units under construction being the 22350M and equalling them to the Super Gorshkovs. But then, the design should be ready by now... maybe the translation of Bursuk's words is misleading? Dates you mention roughly match those for the modernized ships according to Bursuk. I think he means the two laid down in early 2018 with the hull numbers 925, 926. However those are Super Grog's, the Russian said a contact said Project 22530M these vessels are also supposed to be dropped into the water in 2025 so that build time of seven years at least makes sense giving the size of the vessel this is their first DD sized ships in decades. 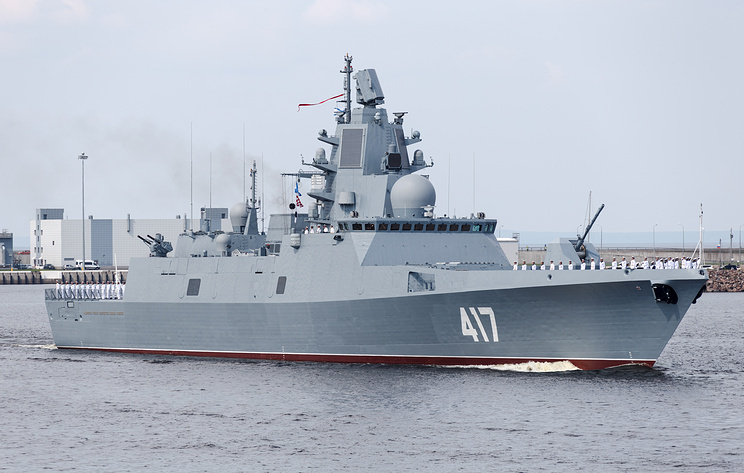 Moscow is additional in talks for another two with the hull numbers 927, 928. 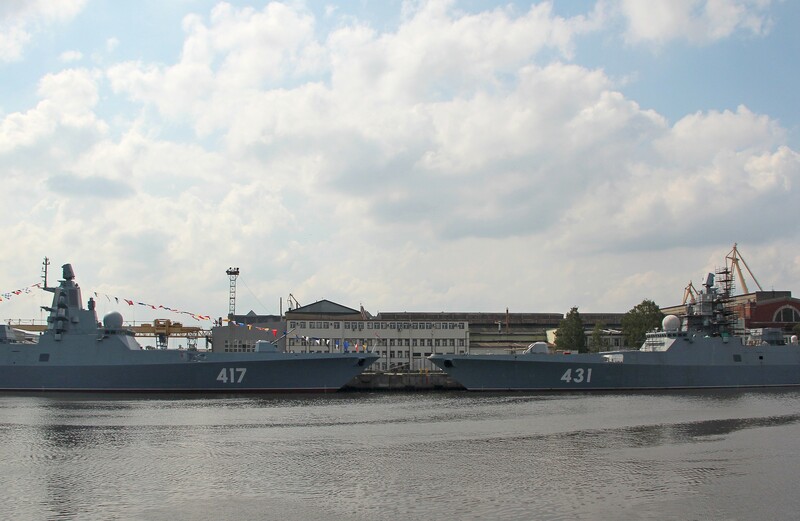 The two known are going to the Pacific Fleet. I think thats the anti-sub Kalibr? such a pretty ship. What will be the status of the next ships? 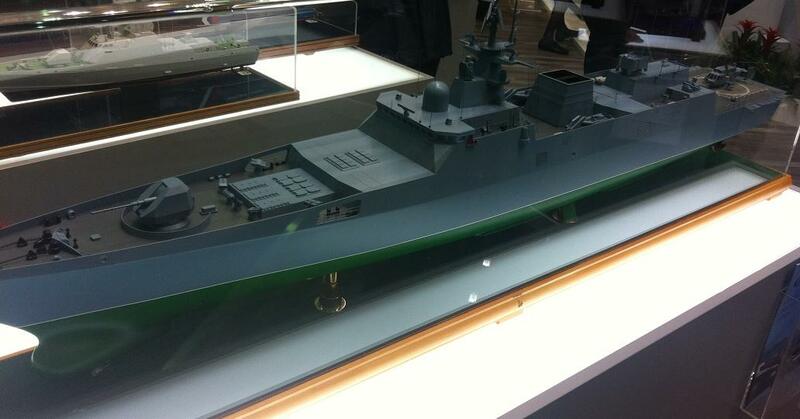 Ukrainain powered and destained for the Indian Navy or will they have the new Russian turbines? The Super Gorshkovs look like a potentially winning formula. Definitely completing for Russia with new Russian engines/transmission. But current plan is only to finish the 3 currently under construction before going to Super Gorshkov & building 20386 as main Frigate class. mnztr wrote: such a pretty ship. What will be the status of the next ships? 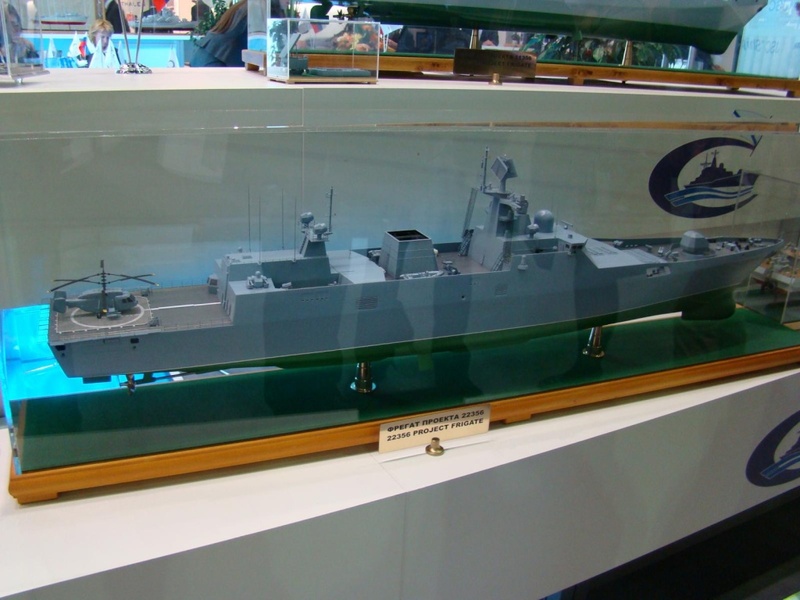 Ukrainain powered and destained for the Indian Navy or will they have the new Russian turbines? The Super Gorshkovs look like a potentially winning formula. This is a very comprehensive listing (in Spanish) of (all) the surface units being built for Russia. AFAIK the second unit still has Ukrainian engines, the rest will receive Russian ones. Was going to mention that, Charly shows a 5th under construction Admiral Yumashev but I don't believe it was laid down & the order has presumably been cancelled. 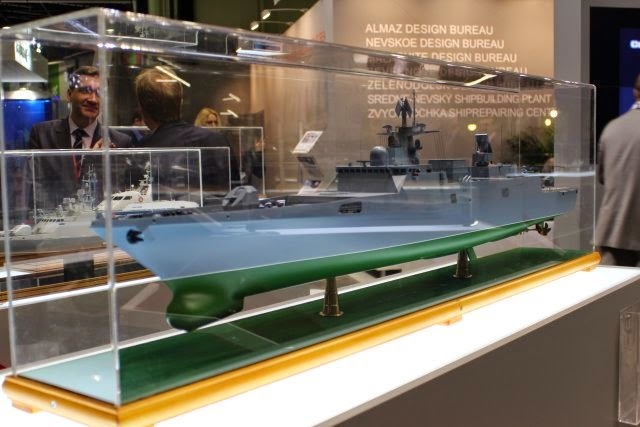 Gas turbine engines (GTE) for the last two frigates of project 22350, Admiral Golovko and Admiral Isakov are ready. This Mil.Press FlotProm was informed by a high-ranking source in the industry. According to him, these GTE are completely domestic and built on the Rybinsk "Saturn". 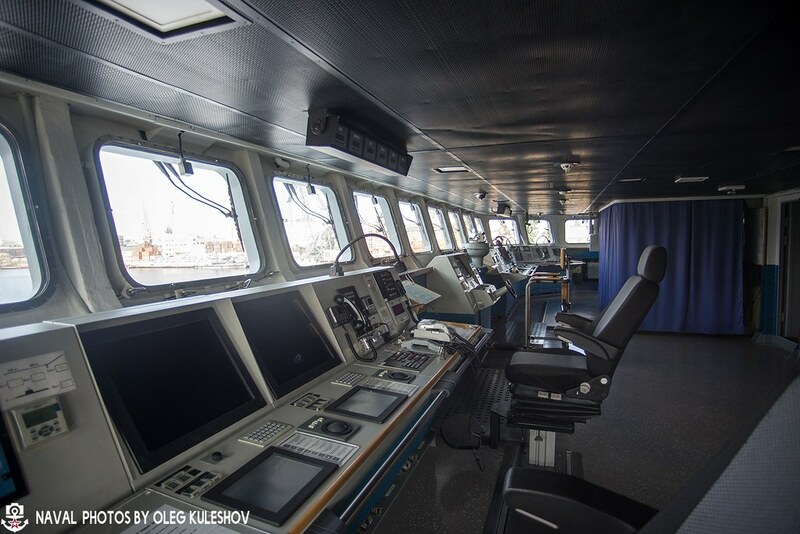 The power installation of the ships will be equipped with gearboxes produced by the St. Petersburg "Star". A source in the company told the journalist that the units are not yet ready, but the current leadership of the "Star" is in constant contact with the Rybinsk "Saturn". 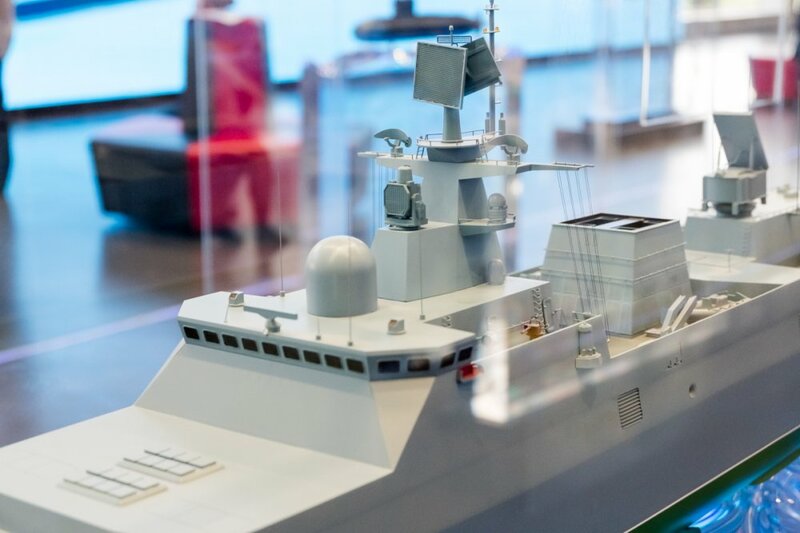 On July 28, during the ceremony of handing over the Navy of the head frigate of project 22350 Admiral Gorshkov, the head of the United Shipbuilding Corporation Alexei Rakhmanov told Mil.Press FlotProm that the GTE for the last two frigates of the series would be domestic. He also expressed confidence that these ships will be built on time. 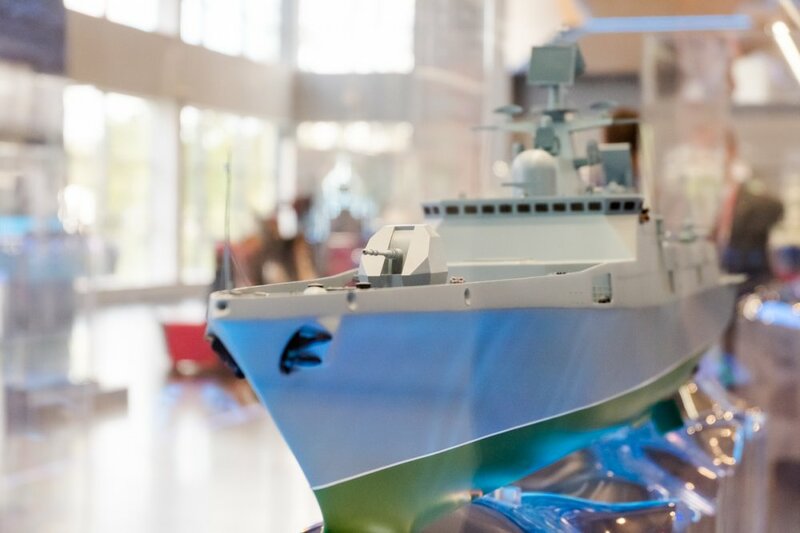 Prior to the termination of military-technical cooperation with Ukraine, Severnaya Verf managed to obtain complete sets of energy for the main and first production ships of Project 22350. The following frigate for the series, Admiral Golovko (plant number 923), was not fully equipped. 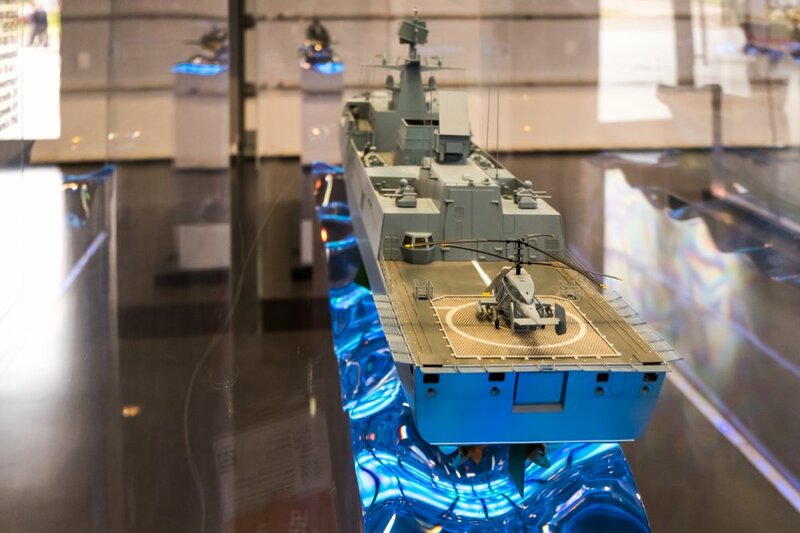 "ODK-Saturn" led the development of domestic shipboard GTE from 2014. In April 2017, the enterprise demonstrated a sample of an M90FP unit with a capacity of 20.2 MW. The declared efficiency of the turbine was 36% compared to 32% for the analog of the Ukrainian production. The first two units of Severnaya Verf are planned to be delivered by the end of 2018. Is this just the export version 22356 we've seen before with Shtil-1? What are the big VLS on the 2nd picture of your first edit ?. It's like 4 times bigger than UKSK. That is a 1x UKSK. The 2x8 SAM bins forward of the bridge (where the 22350 has its 2x UKSK) look like Shtil to me, though the VLS bin arrangement is different to the one on the 11356s. The 3x VLS bins fwds of the UKSK look to be Redut, same bin config as installed to the 22350. Big_Gazza wrote: That is a 1x UKSK. The 2x8 SAM bins forward of the bridge (where the 22350 has its 2x UKSK) look like Shtil to me, though the VLS bin arrangement is different to the one on the 11356s. Just a matter of length of the missiles. CMs are way longer than SAMs. 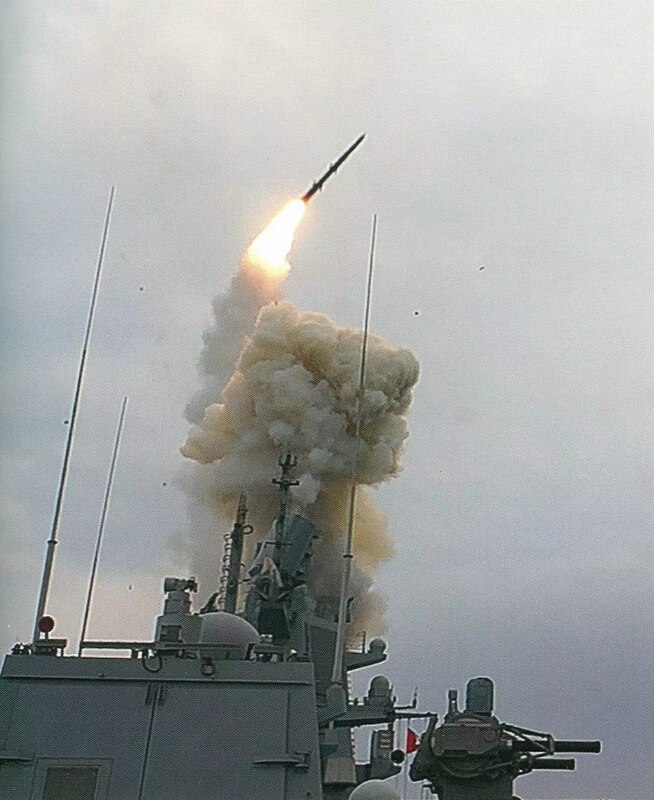 With an S-300FM style engagement radar I presume its S-300 VLS, to which the semi-mythical designation Krepost may apply. The size is very problematic if it can't also carry quad 9M96 or something. Isos wrote: What are the big VLS on the 2nd picture of your first edit ?. Considering the Radar in the back most likely a 92N6E "Grave Stone", it's probably the navalized S-400 system. 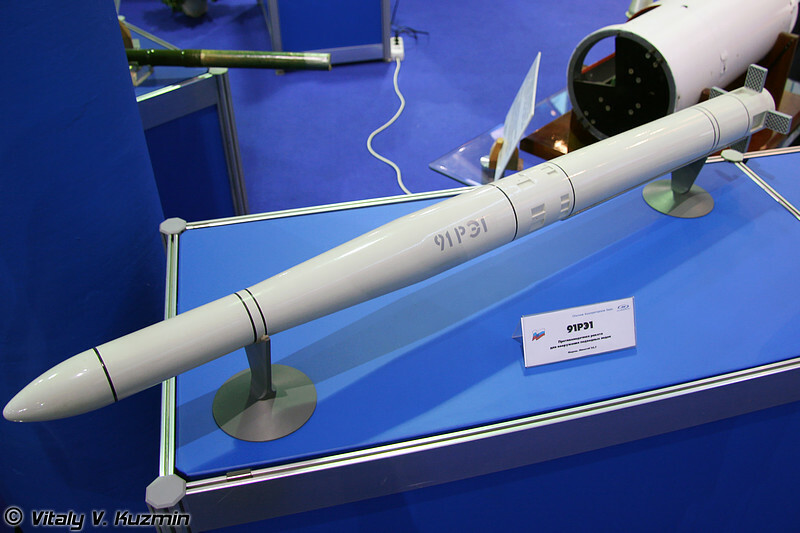 Granted without the 400km range missiles, since that requires the 91N6E "Big Bird". BTW, is there a naval version of the Big Bird? Grave Stone is fire control radar. Big Bird is early warning radar.